It’s that time of year, when we can take a moment to enjoy our family, friends, and all that we are thankful for. 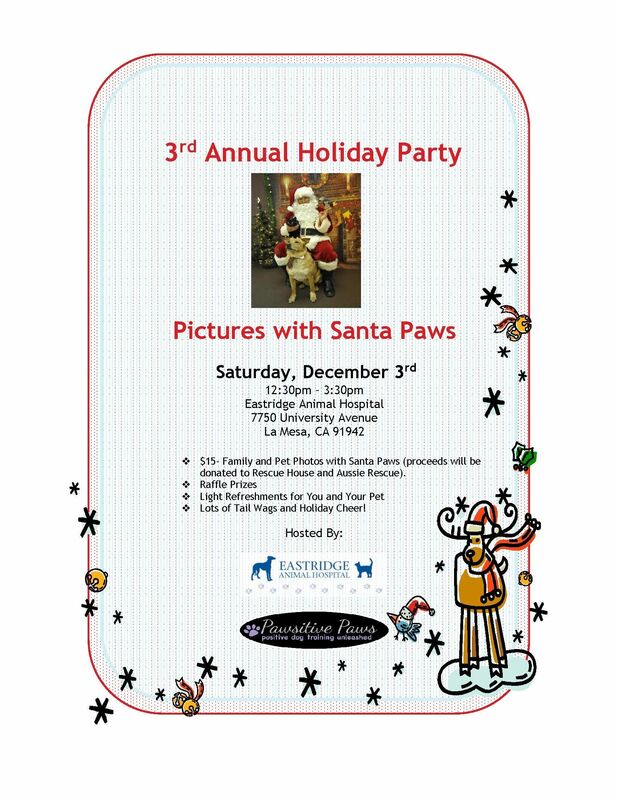 Each year Eastridge Animal Hospital and Pawsitive Paws dog training (and now also The Little Cat Clinic, and Healthy Paw Rehab Center) want to take this time to celebrate the holidays with you and your pet. Please plan to come by THIS SATURDAY for a little happiness and holiday cheer. All pets are welcome, however, please consider how your pet would feel around other dogs. If you plan to bring a pet cat for a picture, please let us know in advance. Photos may be taken outside this year, so we want to make sure all safety precautions are in place. Even if you don’t think your pet will enjoy the festivities, there is still plenty for you to enjoy, so please consider taking a moment to come join us in the holiday spirit. 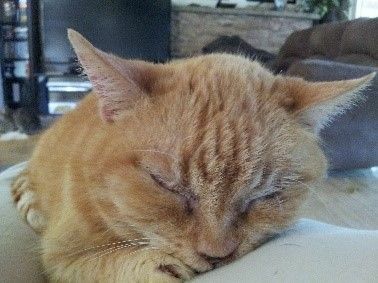 This month we are celebrating two of our senior pets: Burby Caine and Tigger Timer! 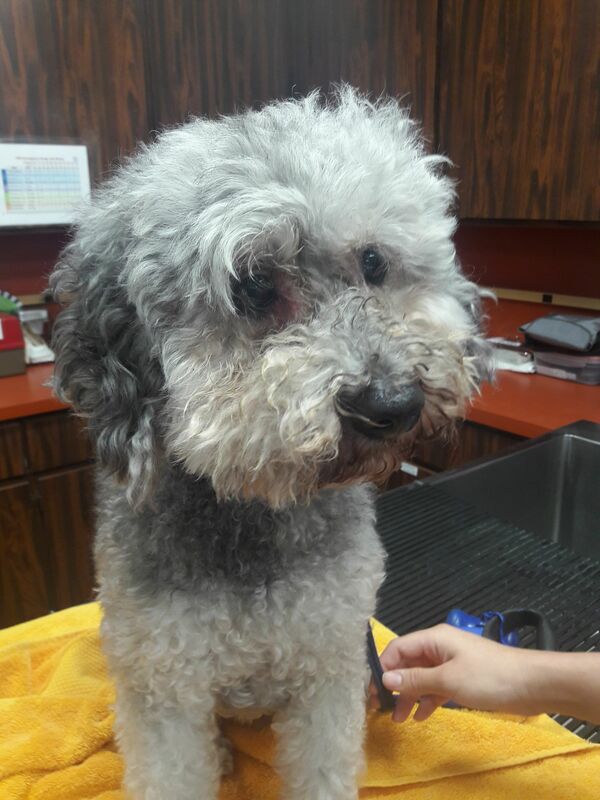 Burby is a sweet, joyful, 10 year old Poodle Mix who lights up a room the minute he walks in. 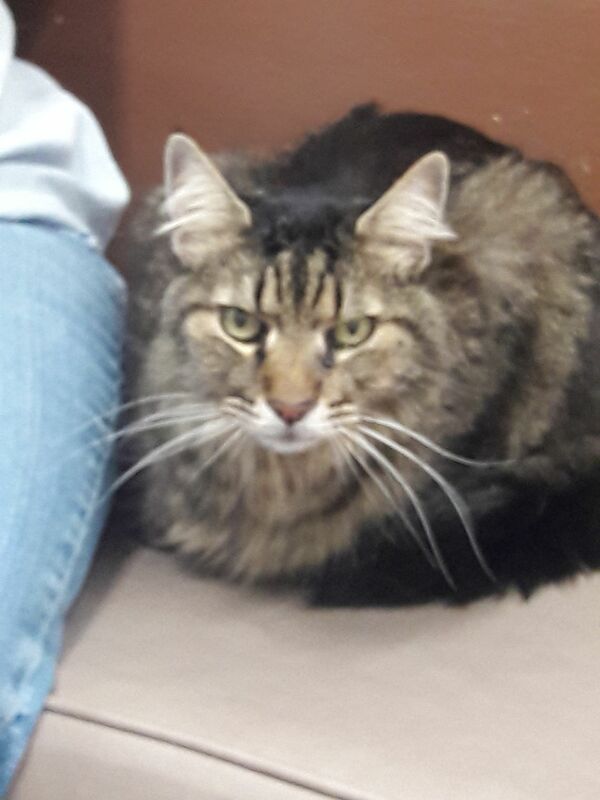 Tigger is a gentle, polite, 15 year old Domestic Medium Hair who clearly owns the place (like every cat should). The reason we celebrate Burby and Tigger this month is to raise awareness of senior pet healthcare. 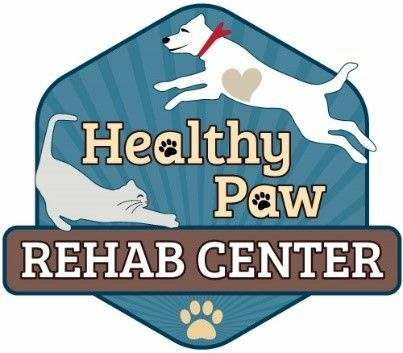 Managing the health care of an aging pet may seem like a daunting task, but in both of these cases, the parents took advantage of our Senior Paw packages and are doing a tremendous job in addressing and preventing geriatric diseases. Annual lab tests, blood pressure monitoring, and six month exams ensure that Burby and Tigger are healthy and living the best possible life. The Senior Paw Package is a great way to make your pet’s care more affordable. If you would like more information, please ask us for more details. Have you ever had a pet that meant ‘just a little bit more’ than anyone else? Many of you may have heard, earlier this year, Dr. Reese lost her “feline soul-mate” of almost 20 years, Toulouse. 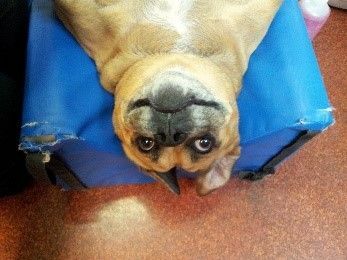 In honor of Toulouse, Dr. Reese initiated a fund raising campaign to help homeless pets of San Diego. To date, she raised over $20,000!!! To continue this effort, for the month of December, we are having a Santa Paws Stocking campaign. For a $1 donation, you can decorate your own paper stocking. Whether it is to honor a current pet, or the memory of one that was special, this is a great way to make a tribute and help other San Diego pets get homes. All proceeds will go to Rescue House and Aussie Rescue. December’s Special Staff Wiggle & Purr goes too…. Sammantha King and Karen Johnston!!!! Our two new receptionists both passed their tests and became Fear Free Certified!!!! Congratulations! Fear Free Certification is proof of our dedication to you and your pet. All of our employees are Fear Free trained to help reduce fear, anxiety and stress during your pet’s visit, and provide you and your pet the best optimal care. If you want more information, please ask any of our team members.